With 15.8 million freelancers in the U.S., coworking spaces are of growing interest to people who want a dedicated and flexible office space. The Harvard Business Review found that workers who use coworking spaces report higher levels of thriving than average employees (6 out of 7 for coworkers vs. 5 out of 7 for other workers). Let’s break down some tips on how to arrange your desk for maximum productivity. The direction you face is a key factor for a productive workday. In part, choosing which direction to face may depend on your style as a worker and your individual challenges. For example, people who are easily distracted might fare better facing their chair away from other people so as to minimize distractions and potential procrastination conversations. Whether your coworking setup is at a shared desk or a dedicated desk, there are easy ways to adjust the ergonomics of your workspace for efficiency and productivity. Remember that if you’re comfortable, you’ll be able to be more focused in your efforts and avoid nagging aches or annoyances. Adjust your chair height so your thighs are parallel to the floor and the desk is at a comfortable height for your arms. Consider adding lumbar support to your work chair. These low-cost, elastic forms are easily strapped to a chair and may help ease any lower back pain. If you’re working on a laptop, an auxiliary wireless mouse may cause less wrist strain than the trackpad. Try using wrist rests for your mouse and keyboard. If you have a dedicated workspace, consider adding an additional, high-quality monitor. You can then gain more flexibility with screen distance and positioning. Not only will this ease eye strain, but the additional screen space may give you a feeling of digital spaciousness. Note the screen should be positioned about an arm’s length away from your seated position. While a certain amount of chaos can sometimes help spur ideas, the clutter of miscellaneous paperwork can get in the way of your focus on the task that is at hand. “We’ve found that people sitting at messy desks are less efficient, less persistent and more frustrated and weary than those at neat desks,” said the HBR. Keep your desk limited to the things you need for the day. The rest should be filed or tucked away to access on demand. There’s no better way to give your brain room for new ideas than to have a clean desk. Note that the decluttering applies not only to your workspace but also to your computer desktop and even to your smartphone. Many overlook the lighting in their workspace, but it’s one of the most important factors in staying focused. Bad lighting can cause eye strain, headaches, irritability and sometimes negative feelings. Try to position your desk so you have as much natural light as possible. WeWork chooses its coworking buildings based on the amount of natural light. Additionally, it makes interior walls out of glass so the entire floor will have access to the daylight, not just the desks along the windows. Use a combination of overhead lights and task lights, but avoid having your screen directly below overhead lights because of the glare. An easy fix for dedicated workspaces is to change lightbulbs on task lights to ones that are daylight balanced. A little boost in natural light may help your focus. Working in an environment where others are focused and productive can spark the same productivity in us. The science is unclear yet about why this is. It may be a competitive instinct, or it could be a type of mirroring instinct. Either way, the coworking community can itself be what drives increased productivity in its workers. “Just the fact that everyone can see each other, now they become accountable,” says WeWork Cofounder and CEO Miguel McKelvey. It’s a shift from “cube culture” to one where shared workspaces are the driver of productivity. Even when people are working on their own individual projects and not working with each other, the concept is that “being surrounded by hard-working people will likely make you work harder too,” Time magazine explained. 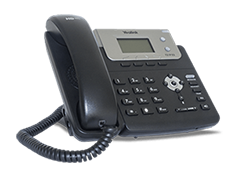 Learn more about Ooma’s small business communications solutions at https://www.ooma.com/small-business-phone-systems/. 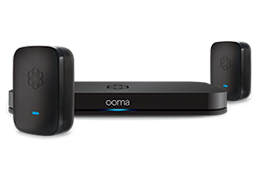 You can also find Ooma business solutions at WeWork locations in the U.S., Canada, France and Australia. Using a principle of feng shui to set up your chair is a wonderful idea. My mother-in-law would agree that using feng shui is helpful. Personally, I like to take into account my comfort level when I choose office furniture. Thanks for this wonderful share! I am going to try this too.